On today’s episode, Kyle Leavitt will be joining us. We discuss building a startup and what it takes to build one from the ground up. Kyle shares his advice on improving customer retention, increasing customer loyalty and the importance of core values in a business. Kyle Leavitt is the recent co-founder of LoyalStream. He had also co-founded CustomerHub, which he sold to Infusionsoft, where he became a key leader who helped grow the company from $1M to $100M+ in annual recurring revenue. Kyle joined Infusionsoft in 2005 then started talking to entrepreneurs every day on the phone and selling Infusionsoft to them. He left Infusionsoft in 2008 and started a software business with his brother and business partner called CustomerHub, which he then sold back to Infusionsoft and joined the product team where he served as Director of Product Management and later VP of Product. He was there for five years before leaving to start another business and get back to his original love, which is building software products that help small businesses succeed. In this episode, learn more about what it takes to have a successful membership site, how you can become proactive instead of reactive and how you can streamline your decisions and process to align with your overall vision. You’ll hear more about setting SMART goals, tips on building a loyal customer base and advice you can use to improve the retention of your members. LoyalStream connects to your customer data and teaches people the secret to loyalty which lies in your customer data. Customers start demonstrating behaviors indicating they aren’t happy or healthy long before asking for a cancellation. LoyalStream identifies customers that are at risk of canceling. If you would like to learn more from Kyle about LoyalStream, visit https://www.loyalstream.com/. You can also schedule a consultation directly from their website. Being a good salesperson is about understanding the needs of the prospect that you are talking to. It’s about understanding their business and the problem they are looking to solve. Building a successful product is understanding a need that exists in the market for more than one person. A product persons’ primary job is to understand the needs of the market and create a solution that will solve the problem their target market has. Consider finding ways to be more scientific in your approach to building product. Determine ways to effectively measure everything that you are doing. Learn how to create a vision and how to execute against a vision. Setting SMART goals is crucial to achieving your desired outcomes. You have so many things that cross your plate that are opportunities. They are often time good opportunities but where people get off track in growing their business is in saying yes to too many things. Have a vision and have priorities clearly defined early on when starting a new business. The internet has put a heavy emphasis on customer loyalty. It’s more important than ever to build a loyal customer base. Its about getting the business owner from a state of reactivity to a state of proactivity. It’s not about saving customers; it’s about helping them be more successful. Micah: Hey everybody it’s Micah Mitchel with the Membership Site Success Show and today we get the pleasure of talking with Kyle Leavitt, who is a longtime friend of mine and who now runs a business called Loyal Stream, which is a growth platform for recurring revenue businesses that use Infusionsoft. Kyle has got kind of a long history, we’ll get into it, but he’s agreed to share some insights about building companies and also about helping business with recurring revenue improve their retention and grow their business so Kyle thank you so much for joining us! Kyle: Absolutely, thanks for having me Micah! Micah: Yeah, I think we’re going to have a lot of fun here. It’s good to catch up with you, I saw you again at SuccessCon a couple of weeks ago at San Diego, you were a speaker there and thanks for coming to our podcast, I know you’ve done a lot of different things so maybe if you can just give us kind of a high level overview of kind of your background and what you’re doing now and then we’ll dive more specifically into some of that. Kyle: Yeah, absolutely, happy to do that. It was fun to see you at SuccessCon a couple weeks ago, it kind of reminded me consequently of Infusionsoft back in 2006 or 2007 which is kind of where the main part of my story begins. I joined Infusionsoft in 2005. I was the first full-time sales representative there and I was coming from a job selling software for big enterprise computer associates. So I didn’t know much about small business other than kind of watching my dad as I was growing up, he was a plumber and he had his own business. That was really the extent of my knowledge about small business. But when I joined Infusionsoft and started talking to entrepreneurs every day on the phone and selling Infusionsoft to them that was really like jumping on to a rocket ship in terms of learning about small business and entrepreneurship. After doing that for a few years and growing really quick with the company, I left Infusionsoft in 2008, I was the director of sales at the time. I started a software business with my brother and business partner Nate Leavitt, he’s a software engineer and he actually is the one who got me hired on Infusionsoft. Anyway, we started a little software and consulting business. We were doing Infusionsoft implementations for people and helping them get the software working for their businesses, on the side we were building this new product called Customer Hub which really at the time was just built to be a customer portal where people could go in and make payments towards outstanding invoices and update credit card information and stuff like that, kind of where you manage a credit card online if you will. We had no idea at the time that we were building what would turn into a membership site platform and so we kind of just locked into that by virtue of customers asking us for stuff and us building it and us building it and we did that for a few years, we grew really fast and we had this vision that maybe Infusionsoft would come knocking on our door one day if we built our product the right way and that happened in 2011 and so we sold the business back to Infusionsoft and I joined the product team and was there for five years and left most recently at the end of 2016 to start another business, to kind of really get back to what I love doing, which is starting and building software products to help small businesses succeed. So, sorry that was kind of a mouthful but that was kind of the high level and not so quick overview of what I’ve been doing over the last 15 years of my career. Micah: That’s perfect because it gives kind of a timeline. You started with Infusionsoft and I agree that being in a position where you’re talking to entrepreneurs all day and selling them software, I know at least for me because I was a part of that where I would talk to people after they buy Infusionsoft and I was maybe selling them consulting or to build something for them. It’s probably similar where they kind of pour their heart out and explain their business and what they’re trying to do and then they’re like “is this a good fit?” so you probably got to hear a lot of stories and a lot of people’s ways of thinking and what they’re trying to do? Kyle: Absolutely, it was pretty new and mind-blowing information for me. I was kind of brought up under the mindset of work harder, work more, you’ll create a successful career for yourself over time and slowly move up the rank of corporate America, build a retirement over 20 years and when I started working with entrepreneurs and talking to them every day, I quickly learned that that’s kind of an old-school mindset and really you can break through and create financial freedom in a variety of ways today that kind of don’t apply to the old model of working for twenty years in corporate America so that really got me going and that’s what gets me excited every day, is building that for myself and helping to build it for other people. It’s the American dream so that’s what I love to do and that’s kind of what drives me into building that four other people so that they can have more time with the families, giving back to the community, spending their time doing the things that they love with the people that they love. Micah: Yeah it is really rewarding and it’s funny because I think Infusionsoft has I’ll call it a problem on the negative side, it’s not really, but where all of their employees are exposed to so many entrepreneurs you can’t help really but start to think about that. But I think it’s cool, you’re working there in sales and you guys started to develop a product, Customer Hub, and I’m sure as we continue on here there’s probably some lessons learned there from membership site owners but it kind of came full circle from Infusionsoft where they didn’t exactly lose you as an asset to the company. You got the entrepreneurial spirit and you built something that helped their customers and then ended up selling it back to them, which is cool. When you sold it back to them, help me understand, when you sold it back I’m guessing you had some part of that where you need to kind of stay on board with Infusion but it seems like you stayed there longer than you were required to, is that right? Kyle: Yeah it is. We definitely had some incentives in place. The deal that we did with Infusionsoft was part stock and part cash and the stock components were essentially built as earn outs and as we hit certain milestones we would earn the remaining of that deal and so I think we hit our final milestone about two years in, which was relatively quick, given that I was there for five years. I kind of got excited, there were two things that happened that kept me there longer. One is, I got really excited about the mission and opportunity to experience some cool things at Infusionsoft and to learn more about product. I came initially from a sales background but my love really was in product and I was able to work with some amazing people, some amazing leaders at Infusionsoft and really learned how to properly think about product, how to build a product that customers love and I think I thought of that additional time at Infusionsoft as essentially education in product. I was working with people, who had been in product many years, leaders that were teaching me things, I was getting the on the job education and I always felt like that would be a huge benefit to me when I did go out on my own again and start another software business. So that was part of it, another part of it is just a bunch of craziness happened in my personal life and I wasn’t really in the position to dedicate the amount of time and commitment that’s required to start a business until just recently. So, those were the two gravitational forces that kept me there for as long as I was there but the initial plan was to kind of bounce after hitting all those earn outs. Micah: Got you, it’s interesting to me, one of the things that stuck out in the times we talked in recent history, I was down for PartnerCon I believe at Infusionsoft headquarters when you were still working there and you talked to me a little bit about that. You started in sales, then you started your own company and then when you were at Infusion you got moved to the product team and I think it was Terry Hicks, I remember you were so impressed with him and thought there was so much you could learn from him. The people listening to this show a lot of them have membership sites. There’s usually two types, there’s one who are a subject matter expert and now they’re starting a membership site and they need to learn about sales and entrepreneurship and whatever. The other is there’s a lot of sales people who either have some content or license some content so I want to talk a little bit about you transforming from a sales person into a product or unit person. Any advice for people who are great marketers and they want to make a better product? Kyle: That’s a great talking point, great question, great discussion that we can have. I’ve never really talked in depth about that but you really boil it down being a good sales person is about understanding the needs of your prospect that you’re talking to. It’s about understanding their business and understanding the problem that they have, that they’re looking to solve. As a sales person, if you can really understand what it is that this prospect that you’re talking to really needs and simply give them a solution that will solve the problem that they have, they will buy every single time. Being a product person, building a successful product is not much different than that. It’s understanding the need that exists in the market for more than one person and in much a similar was as a sales person, tries to match up a solution with solving the problem that their prospect has. A product person’s primary job is to understand the needs of the market and to create a solution that will solve the problem that their target market has. So it’s really just understanding the market on a little bit larger scale as a sales rep generally working with individual prospects. And as a product manager or a product leader you’re doing the same thing, you’re understanding the individual customer’s needs but you’re also looking for the bigger trends, things happening in the market and problems that are widespread problems that are urgent and pervasive in the market that there’s not been a solution brought forth for those yet and you trying to bring that forward to the market to solve that for hopefully a big audience of people that are needing that problem solved. So, they are different but surprisingly when you really think about that there’s a lot of similarities there between being a good sales person, being a good product manager or product leader. Micah: Yeah that makes a ton of sense. What were some of the main things, obviously you already had enough experience creating product doing your own company to even sell it back to hit those milestones, a lot of people would see that as extremely successful but I thought it was interesting when I talked to you that you were still being so teachable. What are some of the things that you learned let’s say from the time you hit that last milestone and you’re with Infusionsoft, you’re working with a great team at a really exciting point at Infusionsoft’s history as well, what are a couple of the main things you learned like the biggest “aha” moments while you were still there? Kyle: That’s a great question. I’d say probably it was different phases. I learned different things at different phases that I was there. I think one of the first things that I learned as I kind of, I came back to Infusionsoft as a director of product management and that was my first formal sort of product management position in like a professional setting. The first thing I learned was really just the structure and the way to think about kind of the professional side of product management, terminology, the way to think about getting things done on a team within the context of a bigger company, stay called on management and all that sort of stuff. So probably just more the function of being a product manager was something that I learned initially. I think as my time continued to progress there I was eventually promoted to VP of product and at one time I was actually overseeing both the product management as well as the design functions of the company there at Infusionsoft. In that time my learning was more about leadership than anything else honestly. It became more my goal on a day to day basis was to find ways to help my team succeed so the longer I was there and the higher up in the company I progressed the less and less my job was tactical in terms of getting things done within a product. The more and more it was helping to clarify the vision for the team at a high level and kind of clearing road blocks for them to be able to go execute as quickly as possible, which is a challenge in a company of that size and I think at the end of the day that’s really on of the things that I didn’t love was the number of meetings. I do like leadership work and management work but it’s not my love, I can do it but it’s not what gives me energy. So that was the phase and I think lastly, really I think one of the disciplines that Terry brought to Infusionsoft was really around how to be more scientific in your approach to building product. Terry brought a discipline to Infusionsoft that really didn’t exist at the company before, which is how to effectively measure every single thing you are doing like a scientific experiment, it’s creating a hypothesis around what you think the customers are asking for, finding ways to measure it and validate it and to iterate and eventually create a product out of that hypothesis. I think that’s helping Infusionsoft to kind of turn the corner in a lot of ways and I’ve seen them transform from really what was a marketing and sales focused company even five years ago to now really operating a lot more like a software company today which is really exciting for me to see. Micah: Yeah I think that’s exciting for everybody in this space, we all want to see them succeed. I know that I told many people this, I don’t know Terry personally very well but more what I hear about him, I’ve told a lot of people he’s one of the better things to happen to Infusionsoft in a long time and a lot of the good changes that you hear about as you kind of trace it back a lot of it did come from him so that makes a lot of sense. Let me just ask, how big was Infusionsoft in terms of number of employees when you were in management there? Kyle: Back when I first started at the company there was like 14 people there. That was in 2005. I got into management in the sales side before I left in 2008, I think the company was probably maybe 80 to 100 employees at the time and then when I came back to Infusionsoft at 2011, late 2011, I want to say there was maybe 120 to 150 and then over the course the next few years we scaled up to at one point close to 600 employees. I know the government might consider that a small business but I don’t and at that point you’ve got a sea level of leadership, high level executive, sea level executives, CEO, CTO, CFO, chief customer officer, chief people officer, there is a VP level of management, director level, manager level, all the way daown to team leader and individual contributor. That’s like 5 to 7 layers of management at one point we had at Infusionsoft. A business becomes a different creature at that kind of scale and if you’re in upper management your job looks a lot different than going in and doing tactical things within the business. None of it is tactical about when it’s all manage, people leadership vision and state called it management so. It was at its biggest point at 600 employees during that timeframe. Micah: Got you, and the part of the reason I wanted to get a grasp on it is now to bring it back around obviously a lot of people listening to this are nowhere near that size so for you to start at a small company, see it grow and then start your own company, grow it, sell it and then come back and grow again with Infusion, I understand like you said you like doing management but it’s not your love, you love the small things, so now that you started your new company Loyal Stream, do you feel like you’re kind of starting over and those skills don’t apply as much in these early stages at least or what is carrying over for you? Kyle: That’s a great question. It is a little bit of a whiplash when I think about it. It’s just a different frame of mind when you’re starting a business and you’re a two person team, it’s me and my partner Nate who’s my brother, it’s all about having a vision and executing. Everything I’m doing on a day to day basis now is execution. It’s tactical and it’s building websites, it’s designing product UI, it’s talking to prospective customers and users in the target market to understand their needs, you know, all the stuff, building campaigns, building web forms, landing pages, doing online advertising, it’s all tactical execution work. That requires a completely different mindset and it’s a completely different skillset than is managing a team of people at a 100 million dollar business. It’s a lot different and it’s a little bit of a whiplash when you go from one environment to the other. I would say it probably took me two to three months to normalize after I left Infusionsoft and kind of get back into the mindset of building a startup so I think I mentioned to you in the past conversations we’ve had that I took about nine months after I left Infusionsoft to just kind of decompress. I did some consulting with small businesses and some software companies, I worked on a side project in the pro golfing industry, it was software related but it was a completely different industry. That time just kind of helped me to get back into the swing of things I guess, more being an entrepreneur. Very different. I can’t even remember what your question was. Micah: No, you’re good. I do have a follow up a little bit, so when you started back over it’s just you and Nate. How much vision, mission type stuff did you do at that early stage? Did you still kind of map it out in a somewhat similar way to a big company or did you guys just say hey let’s try something and throw stuff against the wall and see what happens? Kyle: That’s a great question. I have a strong opinion on this, strong belief. So one of the things that I learned at Infusionsoft that I attribute that a lot of success we’ve had at Customer Hub to was learning how to create a vision and how to execute against a vision. Infusionsoft has always had a framework for their visions. It starts at the top with like a vision and there’s multiple levels that kind of bubble all the way down to specific they call them smarts, specific measurable, achievable time bound or relevant in time bound goals. They’re specific tasks that you’re executing against. Those bubble up to basically quarterly priorities that bubble up to your annual goal that bubble up to like a three to five year mission goal that bubble up to a high level vision that will take you through 10 or 15 years. So, that strategic planning framework is something I learned at Infusionsoft. I took it with me when Nate and I started our little business and actually Nate and I as sole owners and employees of our business when we started, it was called Infused System was the name of the business within which we built customer hub. When we started that business we actually went through a strategic planning process together, just he and I. It was on the back patio on my mom’s house. We basically cleared a room in her house, she was kind of an empty nester and she had some extra space so we built our office in there and I remember the first strategic planning session that we went through was on her back patio next to the pool and we had a little scratch pad out there and we sat down and talked about what we wanted to accomplish at high level and we boiled it all the way down to specific smarts just like I learned at Infusionsoft. As we were creating Customer Hub we had that vision we were executing against and it ultimately was kind of a driving force behind our decision to sell the company and all the decisions that lead up to doing that so I credit a lot of our success as entrepreneurs in learning that strategic planning framework. It’s something we still do today as we’re building Loyal Stream we go through the same process. You kind of have to have an idea of what you want to do before you can go through a strategic planning process like that but if you have a general idea of what it is that you want to build or what problem it is that you want to solve, going through that process can give you a lot of clarity and can give you a lot of direction that helps you to make important decisions on saying yes to certain things and saying no to certain things. Hopefully a lot more things that you’re saying no to in order to have success. Micah: I would just second, everything you said was interesting to me. We, with my friend remember Jordan Grensy with his business, they were kind of in a struggling point around 50 employees and obviously 600 is a lot more with Infusionsoft, but I don’t know how I got introduced to the book, Mastering the Rockefeller Habits, and there’s a new version Scaling Up, for those of you listening I would recommend going and getting Scaling Up if what Kyle is talking about resonates with you, but really most membership site owners I don’t think they do enough of this. If your membership site is a pilot I understand maybe you don’t need a whole strategic plan, maybe you just need to do a test but we had a similar experience. One with my friend’s company going through that process very similar to what you’re talking about. I know Infusionsoft has kind of modified and customized theirs but it really changed their business in that number of employees, so that higher level it changed his business and they really started to grow again and did well but based on that experience when I was doing my own thing I did kind of what you’re saying the very first strategic planning I did for myself it was just two of us so very similar and it was in my unfinished basement in the house I used to live in and I do credit that right now for a lot of the success with Memberium because from there even as we added three people, four people and have grown, it seemed like an overkill sometimes to have this big strategic planning meeting and I know some of the team members had felt like it was overkill but I had seen kind of what you had seen what it would do for a bigger business and I felt like you pretty much transitioned very well for a smaller business, you can modify it a little bit it may not be as complex but so valuable. For those of you listening, I would just second what Kyle is saying, even a small level going through that exercise even if it seems like a lot to do and there’s a lot of new concepts an added bit of encouragement that I would give you is the first few times I did it I was not very good at it looking back but those iterations have kind of lead to being more proficient with the process so I would say it helps a ton even if it’s just you going through it yourself it’s going to help you put your thoughts together. Kyle: Yeah it doesn’t have to be some big drawn out process. I think Nate and I probably spent a couple hours, maybe two or three hours during the afternoon kind of going through that process for ourselves so you can modify it for what works for you. I think the key thing that we’re talking about here really is about focus, getting focused. I think it was Steve Jobs that was quoted, there’s a variety of Steve Jobs quotes that float around about focus, about saying no to things. “Innovation is saying no to a thousand things” that’s one of the ones you hear a lot or “Focusing is about saying no” and that’s really what that strategic planning process and having a vision is all about because as an entrepreneur and a small business owner or as a membership site owner if that’s your business you have so many things that come across your plate that are opportunities and they’re good opportunities often times. But where people get off track in growing their business and maximizing their success is actually saying yes to too many of those things. So having that vision, having those priorities clearly defined it really gives you the ability to say “no, this is a good opportunity but it’s not within our focus and framework right now so we’re going to say no to it.” When you get that level of focus down on to the core problem you’re trying to solve you can really move faster, execute faster, make faster progress and you can say yes to the two or three things that are really going to blast business to the next level as opposed to kind of being spread out amongst a variety of different things, especially if you’re a small team. Micah: Yeah and I think your new business, let’s talk about Loyal Stream for a minute, it seems like you’re really practicing what you preach because it’s a growth platform for recurring revenue businesses that use Infusionsoft, it’s so specific and some people might think why don’t you do it for a lot of people but frankly if you came to me and said “Hey we’ve got this growth platform for recurring revenue businesses” and that was it, I would be like it’s probably not going to meet my specific needs but if you say for Infusionsoft even I’m like hey, I’m a recurring revenue business that uses Infusionsoft and I want to grow, what is this? You’re practicing what you preach, tell us what Loyal Stream is, what it does, why you started that versus all the other things because I’m sure you said no to a lot of things, why this? Kyle: It took us probably, like I said we were floating around for six to nine months doing consulting stuff before we kind of got fixated on this opportunity and just to give you a backdrop of why Loyal Stream, why did we choose to do Loyal Stream, it’s for a few reasons. One is as a senior product leader at Infusionsoft for the last two or three years that I was there, one of the biggest parts of my focus, one of my most important goals there as a product leader was to improve customer retention at Infusionsoft. So to get turned down as low as we could. When you’re a recurring revenue business that’s the name of the game. The name of the game is it’s much more about customer retention than it is customer requisition because your business model is a bucket and you can pour as much water into the top of that bucket as you want but if you got a hole in your bucket it’s just going to leak right out and you’re not going to have a very sustainable business. That’s the case with software businesses, it’s the case with any recurring revenue business, especially like a membership site that’s a perfect model for it. I was sort of eating, sleeping and drinking customer retention for a couple of years there on a larger scale and when I got back out into the small business eco-system and doing some consulting with some smaller companies what immediately became clear to me is that the problems and focus that Infusionsoft was trying to solve were the same problems that smaller businesses were trying to solve on a smaller scale and the small businesses were about three to five years behind where Infusionsoft and where more like a mid-market enterprise businesses are at in their life cycle of kind of focusing on customer success and customer retention. So, I immediately saw huge opportunities, I began talking to and consulting these recurring revenue businesses. I would ask them questions like who are your best customers and they would name three to maybe five at the most customers that were kind of like their big partners, people who were obvious, whom they knew personally and they knew they had spent a lot of money with them so they would name them off. These people would have sometimes a thousand or more, couple thousand or more customers and I say “okay, beyond those three to five who are your best customers*” And they literally didn’t know and their methods for determining their best customers were crude. They would go to Infusionsoft or Stripe if they were using that for billing or something else, they would pull up like a sales report that would show how much money their customers have spent and they would simply sort that in order of who had spent the most money with them and they would say “well, these are my best customers because they spent the most money with me and they’ve been with me the longest.” When you really dig down into that what you find is actually that’s not true. Sometimes the customers that have spent the most money with you or have been with you the longest are actually getting ready to cancel, they’re not healthy, they’re POed and sometimes some of the never customers who haven’t spent as much money or been around for as long are some of your most loyal and happy customers and they are going to spend a lot more money with you in future than someone who is on their way out who might have been around a little bit longer. Anyway, in these conversations and consulting I was doing it became clear to me that there were some big movements happening in the small business market, especially with recurring revenue businesses. The internet has changed the way we do business. It’s put much more of an emphasis on customer loyalty because people can switch providers at any time they want at virtually no costs, they can sign up for a free trial, the subscription economy is here so people usually aren’t paying a big chunk of money upfront to lock them into a recurring revenue model. It’s easy to switch and there’s a lot of different offerings out there or they can sign up with any business worldwide. All of this puts a huge emphasis on “hey if you want to build a successful and sustainable business at the end of the day it’s about building a loyal customer base.” At the highest level, that’s our vision and mission for Loyal Stream. We want to help recurring revenue businesses to create loyal customers so that they can have a healthy business where they’re not having to go out and essentially earn their keep every month like a non-recurring revenue business because they have so many customers cancel they have to replace at least that many customers every month with new customers to sustain your business. You can do that and you can keep your head above the water but if you want to create a customer growth and network recurring revenue growth you have to create loyalty. So we help people do that, Loyal Stream is a product that gives them tools to do that and we also do some consulting around that. Micah: Got you, so, tell me a little bit about maybe the specifics because, for example let’s say we’ve got membership site owners listening to this, they’ve got a couple hundred members and they’re getting to that point where turn is becoming significant enough they really need to solve this problem, from reading your site it kind of looks like this is a little bit of a data driven approach. If somebody came to you and said I’ve got 500 members and my turn is really high, let’s say it’s ten percent a month or something and they’re replacing that with new members but like you’re saying they’re just barely keeping their head above water, give me an idea of a little bit of an approach maybe with the product and then if you want to mix in some consulting too, what are you doing to solve that problem? Kyle: Yeah, so, the way that our product solves that problem is, it really is about getting the business owner from the state of reactivity to a state of proactivity. So, if you dig in to any recurring revenue business usually what you’ll find is that retention management, if there is such a focus or thing in a small business, is reacting to cancellation requests and trying to get people to stay on board, that’s what it is. That’s a sucky way to manage retention and try to keep customers because by the time they’re asking to cancel they’re already, they want to cancel, that’s what they decided to do, they already made a decision, you’re trying to reverse their decision. That’s a hard thing to do. What Loyal Stream does is it connects into all of your customer data and really what we are teaching people is that the secret to creating loyal customers and successfully managing retention and increasing retention, the secrets are in your customer data. Customers start demonstrating behaviors that indicate they’re no longer healthy or happy long before they request cancellation. What Loyal Stream does is it pulls in all of your customer data and it identifies the customers that are likely to cancel based off of those behaviors. So it gives every customer a health score so you as a business owner, a recurring revenue business owner, actually know who your healthy customers are, who your kind of in the middle, we call then neutral customers are and who your vulnerable customers are. The vulnerable ones are obviously the ones that are at risk of cancellation so just by knowing who those people are you can now start to create targeted strategies and campaigns in Infusionsoft and other places to proactively manage them. You can reach out to them, you can do a variety of things in being proactive in getting your customers back on track prior to them cancelling. 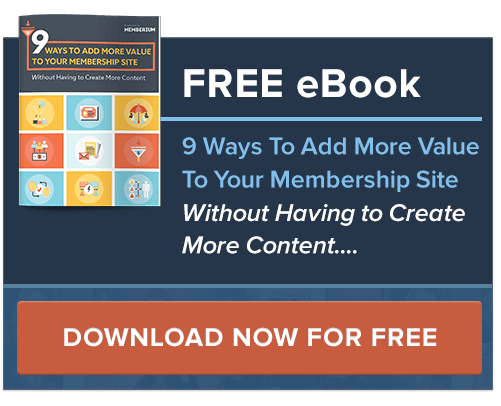 Let me give you an example, in a membership site business or membership business, if you have a membership site one of the key components of your customer health is are your customers logging in and using, you know, consuming your membership content? By tracking that you can identify who’s not logging in, who’s not consuming content and the people who aren’t that’s kind of a red flag. There are a variety of other things that also indicate customer health. They’re three main categories, there’s purchase behaviors, they’re engagement and they’re sentiment so sentiment would be how do they feel about you and you can get that in surveys and other things. So we look at all three of these categories, we look at a couple hundred different factors and variables and we score and grade each customers. So that kind of gives you an idea of how we start to get at managing retention. We give people a variety of reports and information, key metrics that they should know as recurring revenue businesses as well, things like what’s your net recurring revenue this month, how much new recurring you’ve added, how much lost recurring revenue have you had, how much recurring revenue is due for renewal this month and what percentage of that recurring revenue were you able to renew, what’s your retention and turn rates, essentially that’s the same thing, just stated differently. So we give them a bunch of statistics like that, I guess just the basic stuff on their dashboard and then we also give them the health tracking, the 360 degree customer record is something that we’re adding soon and other tools we’re going to be building on top of that to help get recurring revenue business owners into a state of proactively managing their growth rather than reactively. Micah: I see, it’s funny to me because it’s such a simple concept but I can see why you’d want to start a business around it just because nobody really does that. I mean, we’ve had a couple of consultants who are really smart, really good marketers and what not and I find it interesting that they, with the exception of one who’s still with us because she’s really, really good, the others who aren’t with us they were all saying we need to create an automated cancellation process and when people try to cancel we need to save them and do all these things to save them and what not but to your point it’s like no, we need to stop them from wanting to cancel in the first place. Like we don’t want them to request a cancellation and then try to save it, that’s fighting the wrong fight basically. Kyle: Absolutely, and I mentioned earlier when I came from Infusionsoft and got back into the small business space, I recognized that the small businesses were about three to five years behind where Infusionsoft was. Well guess what Infusionsoft was doing back in 2011, 2012, they were trying to manage the save process and they were trying to figure out how to build automation around that to save as many customers as possible and then, it went from that to now they’re much more out in front of customer retention. I was kind of able to ride along in that journey of thinking about customer retention as saving customers to thinking about customer retention as helping customers succeed and get to their buying objective as quickly as possible after they’ve bought and then monitor their health and when you see smoke go figure out what’s going wrong and try to get them back on track, it’s a much more proactive approach. In mid-market enterprise there are massive software businesses that have sprung up around solving these problems. One of the most notorious of them is Gain Sight, this is the company I was exposed to while I was in Infusionsoft and they serve more mid-market enterprise size businesses with a tool set which is somewhat like Loyal Stream but it’s for bigger business. The key difference is with an enterprise or mid-market solutions in companies like Infusionsoft you have customer success teams and people whose jobs it is spending all of their time chasing customers and having conversations and looking at metrics and reports all day long. We’re coming at it from a much different space with small businesses, knowing that no small business we ever sell to is going to have a customer success team. They need automation, they need artificial intelligence and tooling around the identification of healthy and unhealthy customers and they need automation around to help them manage it as opposed to having to o hire people to manage that. That kind of sheds some more light on where we saw an opportunity and why we saw an opportunity because we’re saying the trend is heading in that direction and it’s all about subscription, the subscription economy is here and there’s just going to be more and more subscription businesses and the more and more subscription businesses there are in small business, the more and more they will have a need to proactively manage retention which small businesses are doing a really sucky job at right now. Micah: Yeah, I completely agree and I think something you said at the beginning of that that would probably be one of the biggest takeaways from this call is that it’s not about saving customers, it’s about helping customers be successful earlier in the process, being proactive. I just love that. I know we are about out of time here so I really appreciate you coming on, kind of sharing your story and a little bit about this retention stuff and Loyal Stream, for people who want to get in touch with you, what’s the best way to reach out if they want to solve some of these problems? Kyle: Absolutely, our website is loyalstream.com. People can go there to learn more about the product. They can also schedule a free consult directly with me through our website so if anyone has questions about how they can potentially apply our product within their business or if they’re just kind of lost and they need someone to talk to to help them understand where they should be focusing their efforts right now based off of their recurring revenue business or membership site they can schedule a consult with me and I’ll do my best to help them get pointed to the right direction. Micah: That’s awesome and I will encourage everybody listening to get it while it’s hot because my guess is that Kyle is not going to be able to do free consults with everybody personally for that much longer, you’re just kind of lucky that he’s in a stage where they’re getting started and he’s available so I would encourage everybody to take advantage of that opportunity, go to loyalstream.com, look around, look at the product but also if you have questions, book a call with Kyle, that’s a huge opportunity, I didn’t realize that you were doing that so that’s really cool. Kyle: Yeah we just launched the business, we haven’t really started mass marketing it yet, we’re not even listed on the Infusionsoft marketplace yet, we have our listing created and ready to publish but we haven’t published it yet. So if you want to have some one on one phone calls as Micah said I’d be happy to do that. Micah: Perfect, Kyle, thanks so much for joining us again! Kyle: Thanks so much for having me, it was fun!